If the news that emerged in social Media, from Horn Affairs, is true, Ethiopia is poised to have its first female president tomorrow. Sahle-Work Zewde has served for a long time in the world of diplomacy representing Ethiopia in many African countries. Horn Affairs, which is affiliated with TPLF and with a source within the government, says that she has resigned from her United Nations’ position as she is getting ready to take over as Ethiopia’s president, replacing outgoing president Mulatu Teshome, which is expected to be approved by the House of People’s Representatives and House of Federation which is scheduled to have their second special session for this Ethiopia Year. Abiy Ahmed administration has made history in terms of creating unprecedented gender-balance cabinet in the history of the continent. Rwanda seconded Ethiopia last week as it formed its gender balance cabinet. According to information from the ministry of Foreign Affairs of Ethiopia, Sahle-Work Zewde was born and raised in Addis Ababa. She attended her elementary and secondary school at Lycee Gebremariam in Addis Ababa and then went to France to study natural science. Her diplomatic carrier started as early as 1989, before TPLF ended its guerrilla war to take over government position. 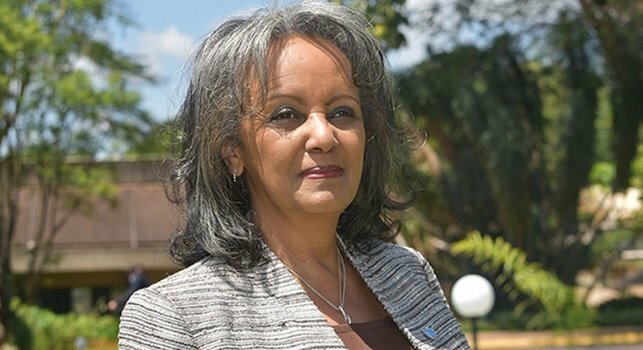 She is the second women to hold Ambassadorial position in the history of Ethiopia and has served in French speaking African countries like Senegal, Mali, Cape Verde, Guinea-Bissaw, Gambia, Guinea and Djibouti. She has also served in France. In 2011, Former United Nations Secretary General, Ban Ki-moon, appointed her as Director General of the UN office in Nairobi (UNON), which was then a newly created position. In her latest role, she served as UN representative to the African Union whose headquarter is in Addis Ababa.